Recycling and remarketing old electronic devices in this location is easy with the professional services offered by All Green Recycling. Recycling disposable tech goods like computers and mobile phones is the expertise of All Green Recycling. Disposing of tech items that are outdated should be done with remarketing purpose. Try our ITAD solutions. Destroying sensitive data and information should be done cleverly. This is to protect your business brand. The destruction of all EOL and defective tech items is one way to shield your business from data-related risks. There are issues linked to irresponsible dumping of electronic waste products in the landfill spaces anywhere. The environment has been suffering a lot. The natural resources are speedily depleting. Human diseases are evident. Addressing these problems is of utmost importance. So embracing a responsible e-waste recycling plan and program should be done. In this location you can try All Green Recycling’s Electronics Recycling South Lake Tahoe Services. These are convenient, simple, easy, working and efficient. Where is South Lake Tahoe? South Lake Tahoe is the the most populous city of El Dorado County with 21,403 residents. It is located on the California-Nevada state line and is geared towards tourism, with many t-shirt stores, hotels, resorts, and restaurants. 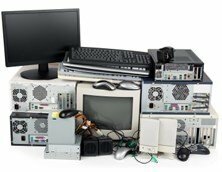 Click on the given link button below for you to schedule an e-waste pickup service today. A centrally managed ITAD process is what we’re giving to our valued customers in this country and in North America. We have served hundreds of clients already for many years now. We gave them the satisfaction they really deserved. If you want to experience the same thing as theirs you can try our world-class electronics recycling services. We have presence in every U.S. metropolitan area which is our assurance that our services can reach you wherever you are in the country. By just scheduling our electronic waste pickup today you can reach us. Or you can choose to locate our nearest drop-off location.